When it’s summer and you want to work, it’s time to go outside. Getting things done is no longer a reason to keep you inside your startup office in the city. There are plenty of workplaces in the countryside, at the beach or in green urban areas. We don’t need to tell you the benefits of working outside, do we? Working in a green environment makes you feel calmer, and definitely more focused. It’s also a great way to meet new people. Zee-as: the place where your desk looks like a surfboard and your coffee comes with waves. 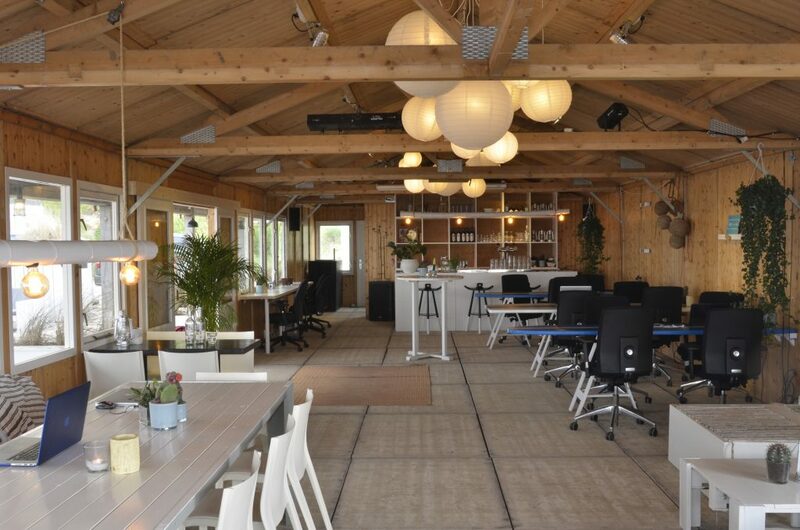 This co-working space right on the beach consists of two beach houses, with in total room for 40 happy workers. What sets it apart from working from one of the beach clubs next door is that the venue is really designed for work, with comfortable silent spaces, a meeting room and fast wifi. Food and drinks are covered, and there regularly are activities for you to join after work, like yoga or bootcamp. Either buy a day pass or get one of their memberships. Open: Mon-Fri, 9am-6pm. 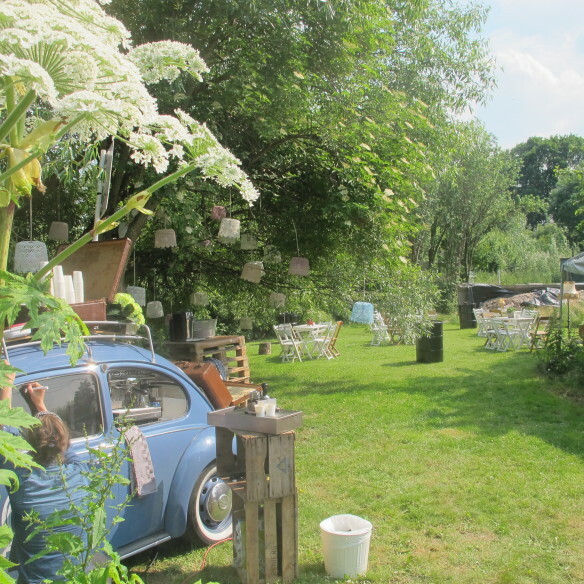 In the urban jungle of southern Amsterdam lays a small green oasis. Amidst the green resides a dome that is home to research projects about healthy urban living, The Green Living Lab. This summer the dome is set up as a flexible workspace. Wonderful on a sunny day, and also on a rainy one. Because the dome is fully transparent, it lets you to fully experience your green urban environment. There is an outside kitchen to prepare lunch or a team dinner, and a veggie garden to wander in. Bookings through email. Open: Mon-Fri, 9am-6pm. At the outskirts of Utrecht you find the Metaal Kathedraal. After having served as a church and a metal factory, the impressive building now has the role of a cultural- and ecological playground. The venue offers desks to freelancers in their ZZP café, fixed office spaces in one of the ateliers in their spacious garden, and for meetings you can rent out their dome with private outside terrace. Soon their new food café ’de Stadsherberg’ will open. An extra reason to go work here and enjoy a great organic lunch. ZZP café open: Mon-Fri, 9am-6pm. The mobile offices of KantoorKaravaan wander around the Netherlands’ most beautiful natural areas. 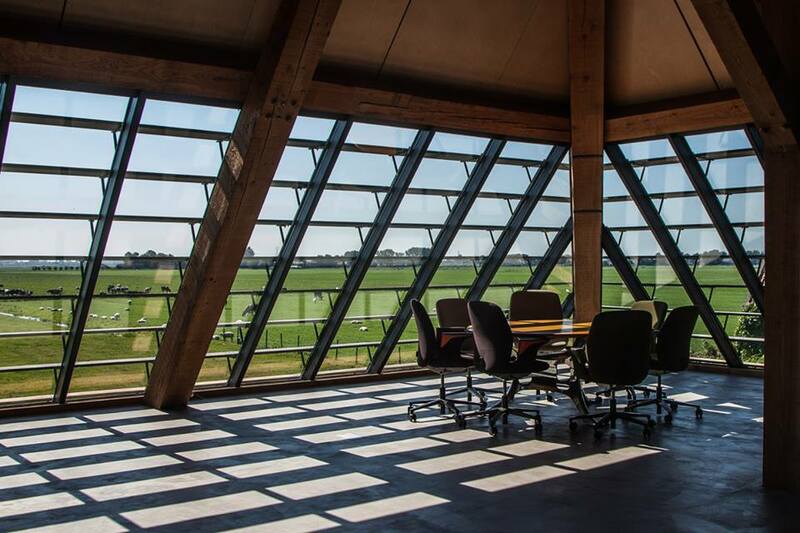 This summer you can work from Roggebotstaete, a natural estate of 52 hectares in Flevoland. Its landscape and food forest are rich in ecological diversity. When walking to your mobile office, you even come across different animals, like the special ‘Drents Heideschaap’ sheep and curly haired Mangalitsa pigs. 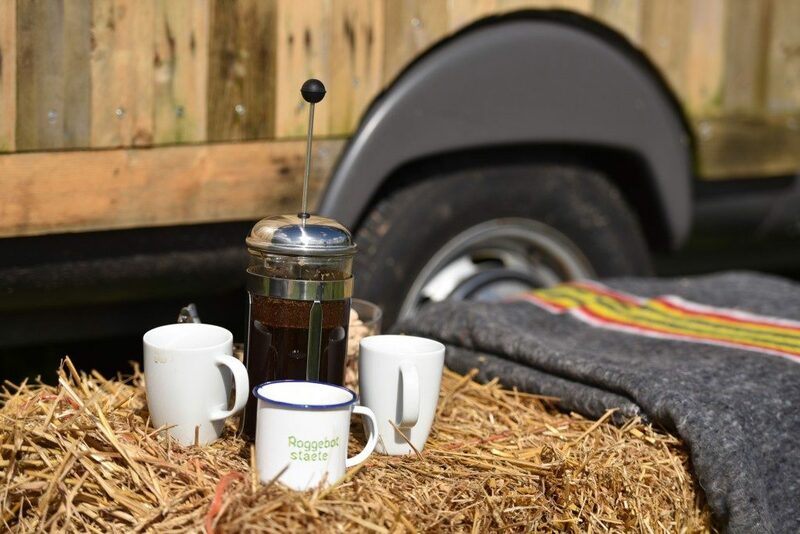 On the terrain there are two office caravans, both with a view on the fields. Internet is provided through a fast 4G internet connection. 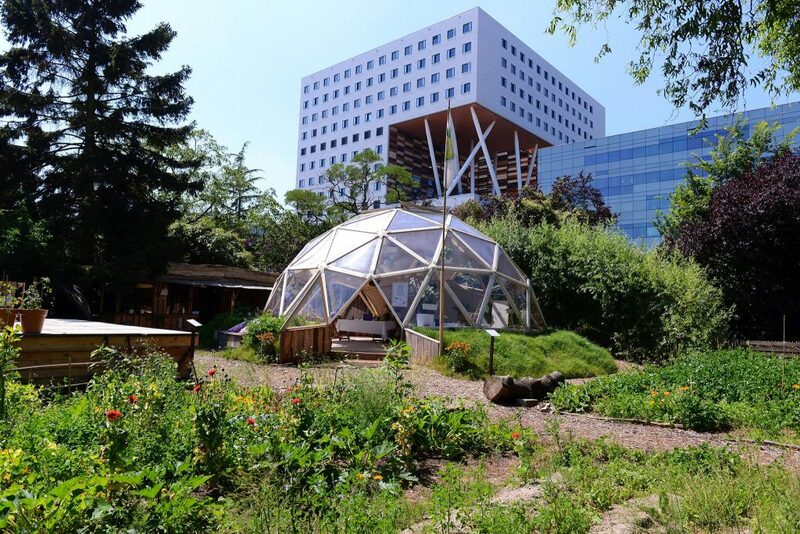 Another mobile office resides at MijnStadstuin in Amsterdam, a 4 hectare innovative kitchen garden that rents out land and garden support for people to start their own veggie garden. A great place to get inspired. Bookings for both locations go through Seats2meet, times are flexible. The roof of this rebuilt farmhouse consists for a large part of windows, offering an amazing panoramic view of the surrounding pastures. Buitenwerkplaats is a great location for team meetings and work sessions, with different workspaces in and outside of the house. For solo workers there is room at the reading table and in the outdoor area. When one day of working is not sufficient, you can book one of the 6 bedrooms for a marathon working session over the weekend. Lunch is organic and where possible from the very own veggie garden, eaten together at one long table, Italian style. Open: depends on your type of booking. After this summer of working at cool outside work places, you might feel inspired to settle for a different kind of office. 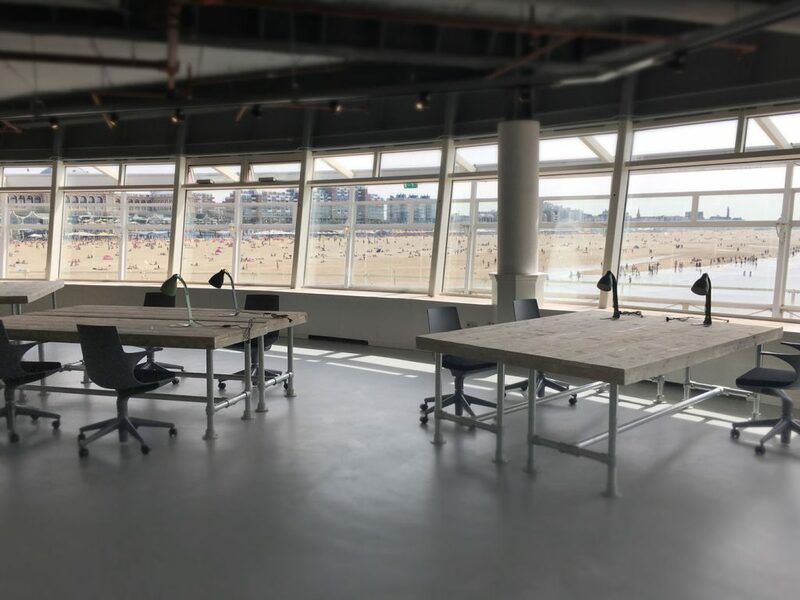 Their are desks available at Pier: a co-working office inside of one of Hollands most famous landmarks, ‘de Pier’ in Scheveningen. Comes with a private terrace overlooking the beach. What else do you need?